Charles R. Sonnier is the recipient of the 2018 Leaders In Philanthropy Award for Vermilion Parish, an honor presented by Community Foundation of Acadiana (CFA) and Hancock Whitney Bank, and sponsored by Gulf Coast Bank and SLEMCO. Charlie is a lifelong resident of Abbeville. 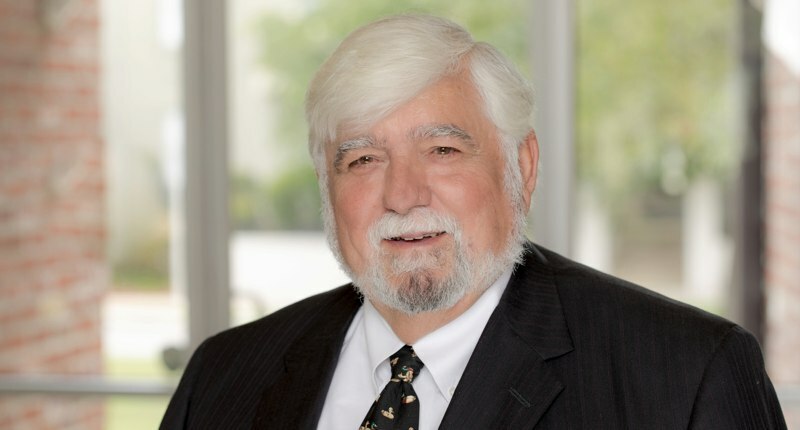 He is a SLI/Tulane Law Graduate and continues his law career of 55 years that began in 1963 in Abbeville. During this time, he served as the First Assistant District Attorney for the 15th Judicial District, Abbeville City Attorney and the founding member of the Sonnier Law Firm. Consideration for this selection included his significant lifelong participation in numerous community activities. Charlie has demonstrated passion for sharing by lending his leadership skills to numerous fundraising endeavors, including St. Mary Magdalen Catholic Church, Vermilion and Mount Carmel Catholic schools, UL Lafayette, and Ducks Unlimited. Charles and his wife, Mary Ellen, a 2014 Leaders In Philanthropy honoree, served as co-chairs to raise more than $4 million to renovate St. Mary Magdalen Catholic Church. He and his siblings also donated the funds to illuminate and enhance the beauty of the historical and iconic Church. As sole trustee of a small charitable foundation, Charles was instrumental in the purchase of additional class rooms for Vermilion Catholic and participated in the ongoing capital building campaign of Mount Carmel. Charles has served as the President and a member of the UL Foundation Board of Trustees for more than 28 years. His dedication to the University is demonstrated by his substantial gifts to the University in the form of an Endowed First-Generation Scholarship in Music and an Endowed Facility Fund in Music Business. As an avid outdoorsman, he has been a member of the premier conservation group known as Ducks Unlimited. A member for more than 50 years, he has served in the capacity as State Chairman, Sr. Vice President for the Southwest Mississippi Flyway, and other National offices in the organization. Charles has reached the level of a Diamond Life Sponsor in Perpetuity and is the recipient of the Don Doiron Achievement Award. He is also currently serving as an Officer and Board Member of several major business organizations. Charles has been married to Mary Ellen McKay for more than 54 years and has three children and seven grandchildren.